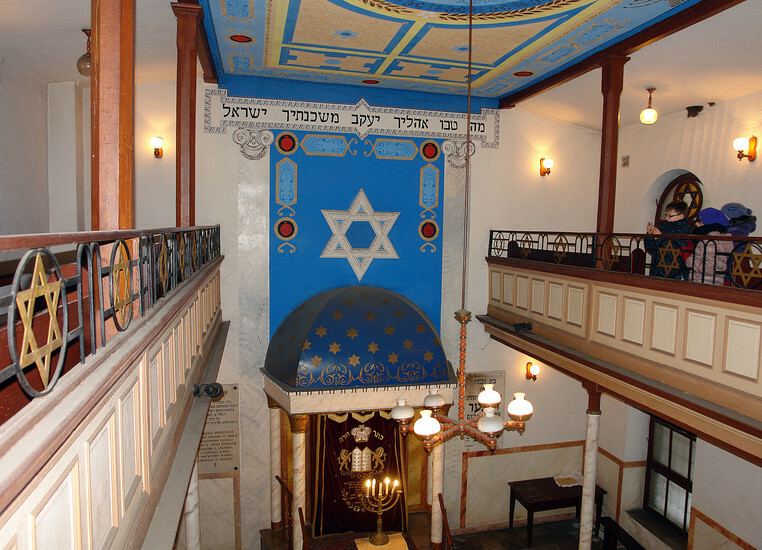 The oldest surviving synagogue in the city was built between 1895 and 1900 by the Reicher family foundation and only survived the Second World War because it was used for storing salt. The war did unfortunately destroy the interior as well as an allegedly lovely Star of David stained-glass window. 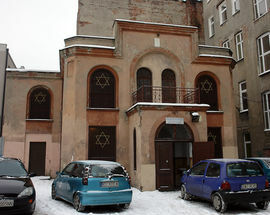 A plaque on the east wall commemorates the synagogue’s founder who starved to death in the Łódź Ghetto. 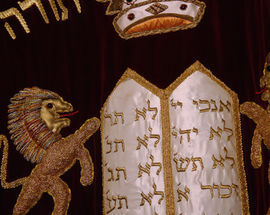 The Nissenbaum and Lauder foundations renovated the shrine in 1989. 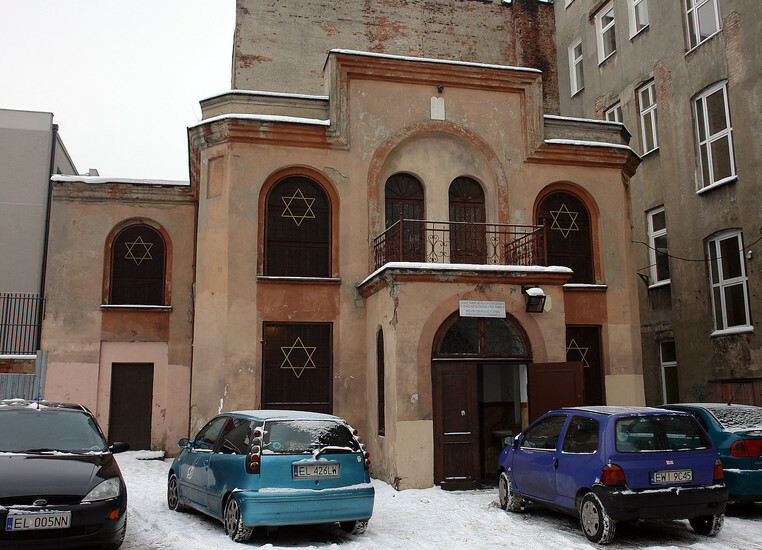 Religious services are no longer held here, but can be attended at the synagogue on ul. Pomorska 18. 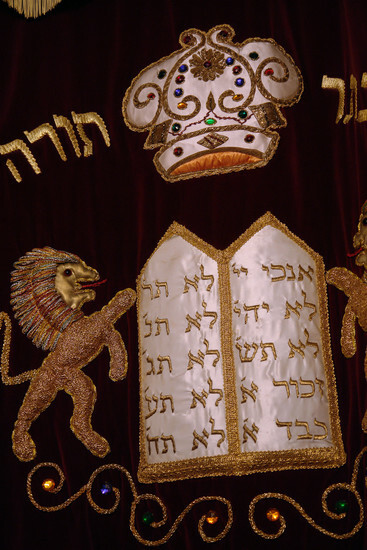 Open by prior arrangement with Jewish Community. Artur Rubinstein was born at ul. Rewolucji 1905r. 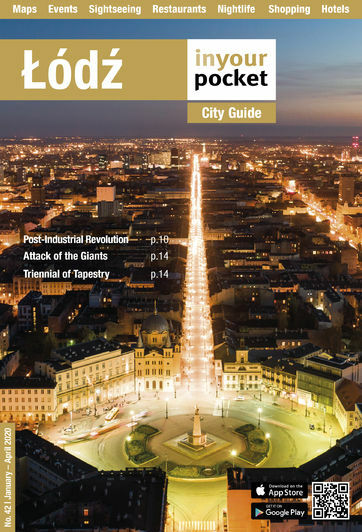 28 in Łódź, where the very same tenement house still stands and visitors can wander past. 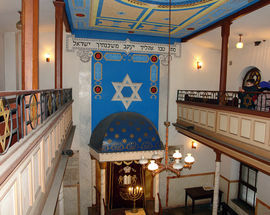 Reicher Synagogue is also in the same spot and worth a glimpse.